According to Sky Sports, Leicester City winger Riyad Mahrez has refused to commit his future to the club ahead of the summer transfer window, and Manchester United should look to sign the winger this summer following their 1-0 defeat against Brighton and Hove Albion on Friday night. 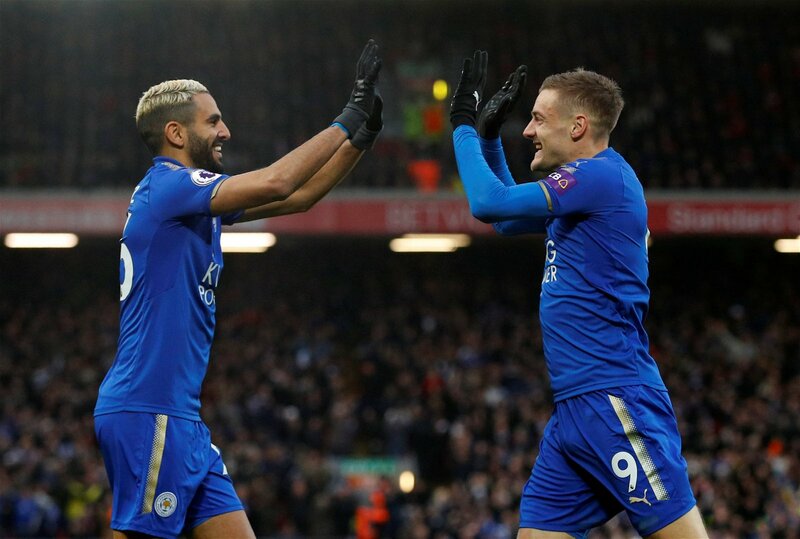 Well, Sky Sports say that while Mahrez has withdrawn the transfer request he submitted during the January transfer window when Manchester City wanted to sign him, he is keeping options open for what is going to happen at the end of the season. The Algeria international has two years left on his contract at the King Power Stadium, and he may now feel that the time is right for him to move on. Meanwhile, Jose Mourinho may be tempted to delve into the transfer market to sign a new winger following a horror display from Anthony Martial, whom United fans on Twitter don’t want to see start ahead of Alexis Sanchez again, and Juan Mata against the Seagulls on Friday. How has Mahrez done this season? While the 27-year-old perhaps hasn’t been as effective as in the previous few campaigns with the club, he has still scored an impressive 10 goals and provided a further nine assists in 33 Premier League appearances prior to their clash against West Ham United on Saturday. The Algerian continues to be a key player for Claude Puel’s men, although he is currently on a five-match sequence without finding the net. Mahrez has successfully completed 74 of the 146 dribbles he has attempted in those top flight outings this season, as per WhoScored.com. Should Man United sign him? While Jesse Lingard has impressed when he has played on the right this season, the Red Devils need another reliable option there as it seems that the likes of Mata, Martial and Marcus Rashford aren’t up to the task based on their defeat to Brighton. Mahrez would bring some much needed quality, trickery and goal threat from the right wing, with his ability to cut in on his left foot one of his specialties. With two years remaining on his contract and with Leicester potentially finally being willing to let him leave this summer, United may feel that they can also get him for a reasonable fee.